Cities from nearly all over the world have a connection to a Northern Michigan industrial firm that has been operating for well over a century. EJ, formerly East Jordan Iron Works, was founded 132 years ago on Lake Charlevoix in the small Northern Michigan town of East Jordan. EJ was originally founded by an English immigrant named William E. Malpass, and today EJ is still run by the same family, now in its fourth and fifth generation of ownership. The company began when the lumber industry thrived in Northern Michigan. When the lumber boom died down the company adapted to the changing world and opened an iron foundry. 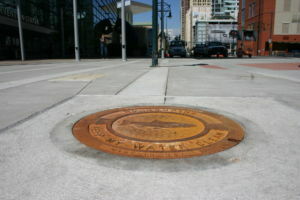 Since the 1920s the company has produced grates, hydrants, valves and, most predominantly, access covers (think manhole covers or anything else that covers underground infrastructure) that have now been sold in over 150 different countries across the globe. EJ’s production process begins in a way many people might not guess, through recycling. Tom Teske, Vice President and General Manager for the Americas, says that recycled materials make up nearly 80 percent of the raw materials for iron access covers. Tin cans collected at local recycling facilities are part of the raw materials used. EJ factories operate in North America and Europe, and the company has sales offices in regions all around the world. During its 100-plus years in business, EJ has had its ups and downs. The most recent down came when the U.S. economy plummeted in 2008. At the time, EJ’s international sales proved invaluable because Europe wasn’t hit as hard as the United States. Since 2008, EJ has grown globally nearly every year through acquiring other companies in the industry. EJ has recently acquired companies located in Queensland, Australia, Brussels, Belgium, Syracuse, New York, and Boppard, Germany, to name a few. “We’ve been a strategic buyer of companies that fit our mission and vision. We target companies related to access covers that position us to be the global leader in providing access solutions,” Teske says. Despite the continuous international development of EJ, all of the executive decisions are still made by the family members in East Jordan, Michigan. Though EJ has focused on global expansion in recent years, the executive leadership team still feel it is important to grow locally. The company hires locally for various positions, including for production, marketing, IT and engineering. Teske says that up to 200 people have been hired since 2008, bringing the local employee count to about 500. Over the years, environmental protection has grown in importance to EJ leadership, and the company often casts environmental messages into products such as sewer grates. 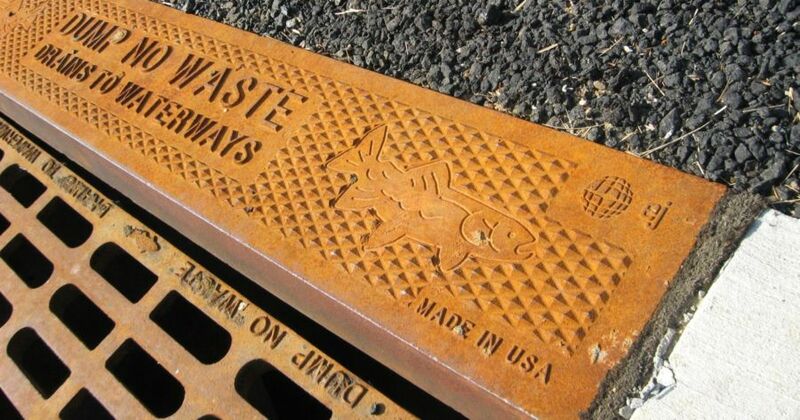 To protect water, grates carry the message, “Dump no waste,” or “Keep my water clean.” The goal is to prevent pollution by educating people about what happens when someone dumps something down a drain. EJ’s employees will be celebrating the company’s 132nd birthday on November 8th with a much larger, and still expanding global family. The company’s plans include a steadily growing presence in Europe, more specialized product sales to Asian markets, and more business in the Middle East out of offices in Abu Dhabi. As the business grows, however, the Malpass family and the people of East Jordan will happily hold the fort down on the shores of Lake Charlevoix.